Implements comparison between two images. This filter is used by the testing system to compute the difference between a valid image and an image produced by the test. The comparison value is computed by visiting all the pixels in the baseline images and comparing their values with the pixel values in the neighborhood of the homologous pixel in the other image. Definition at line 42 of file itkTestingComparisonImageFilter.h. Definition at line 67 of file itkTestingComparisonImageFilter.h. Definition at line 52 of file itkTestingComparisonImageFilter.h. Definition at line 61 of file itkTestingComparisonImageFilter.h. Definition at line 62 of file itkTestingComparisonImageFilter.h. Definition at line 65 of file itkTestingComparisonImageFilter.h. Definition at line 63 of file itkTestingComparisonImageFilter.h. Definition at line 64 of file itkTestingComparisonImageFilter.h. Definition at line 51 of file itkTestingComparisonImageFilter.h. Definition at line 66 of file itkTestingComparisonImageFilter.h. Definition at line 49 of file itkTestingComparisonImageFilter.h. Definition at line 50 of file itkTestingComparisonImageFilter.h. Definition at line 128 of file itkTestingComparisonImageFilter.h. Set/Get the minimum threshold for pixels to be different. Default is 0. Set/Get the maximum distance away to look for a matching pixel. Default is 0. Set the test image input. This will be input 1. Set the valid image input. This will be input 0. ComparisonImageFilter can be implemented as a multithreaded filter. Therefore, this implementation provides a ThreadedGenerateData() routine which is called for each processing thread. The output image data is allocated automatically by the superclass prior to calling ThreadedGenerateData(). 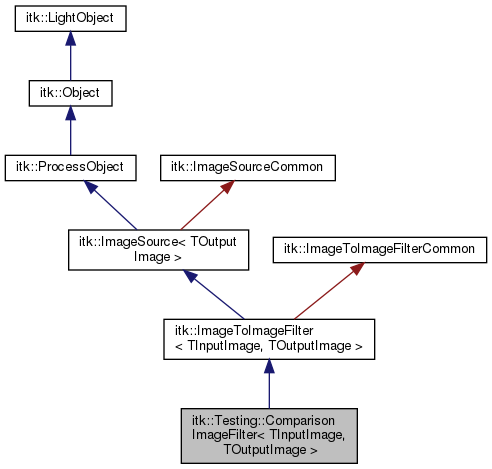 ThreadedGenerateData can only write to the portion of the output image specified by the parameter "outputRegionForThread"
Definition at line 139 of file itkTestingComparisonImageFilter.h. Definition at line 159 of file itkTestingComparisonImageFilter.h. Definition at line 143 of file itkTestingComparisonImageFilter.h. Definition at line 141 of file itkTestingComparisonImageFilter.h. Definition at line 142 of file itkTestingComparisonImageFilter.h. Definition at line 148 of file itkTestingComparisonImageFilter.h. Definition at line 152 of file itkTestingComparisonImageFilter.h. Definition at line 156 of file itkTestingComparisonImageFilter.h. Definition at line 155 of file itkTestingComparisonImageFilter.h. Definition at line 153 of file itkTestingComparisonImageFilter.h. Definition at line 150 of file itkTestingComparisonImageFilter.h. Definition at line 146 of file itkTestingComparisonImageFilter.h. Definition at line 144 of file itkTestingComparisonImageFilter.h.